Beer and travel have a way of bringing people together. 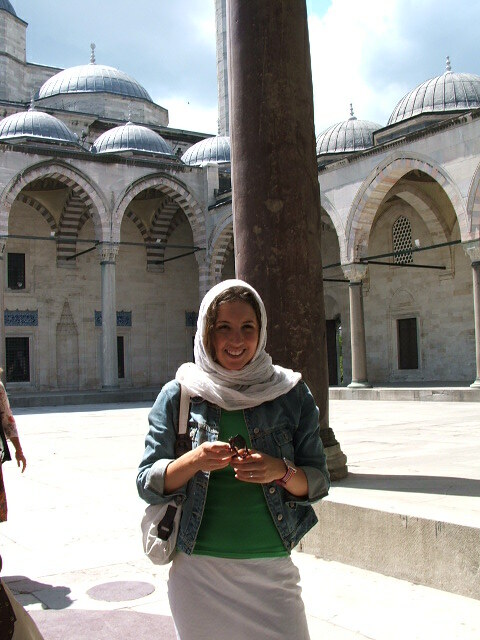 In college I went to Istanbul to study Ottoman history and architecture (useful, I know) and drank beer and met great people along the way. One of these dears popped in to remind me this weekend of the Bud Light equivalent beer that we enjoyed so many nights in Istanbul, Efes. While we've both since moved on to greener brewed pastures, the flavors bring back fond memories. With Istanbul in my heart, I set out to recreate another Constantinople classic -- Kofte. This spiced meat kabob is incredibly flavorful and is just about the best street meat you can find. But before we get to the meat on the stick. 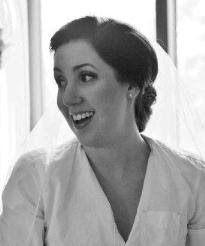 Sigh and reflect with this snapshot goodie of yore. Awww... makes me miss it! 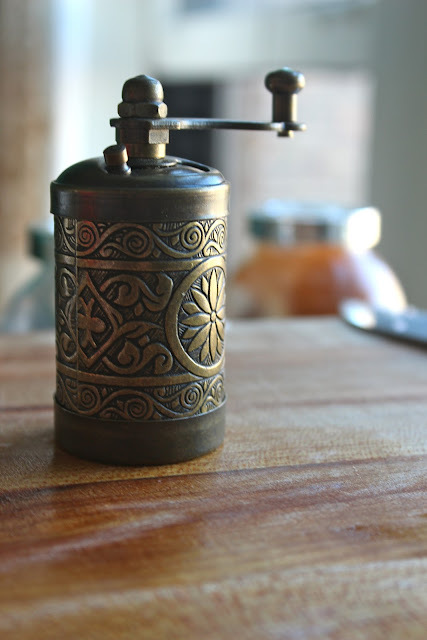 One of the better things I picked up in Istanbul is a mini spice grinder. With just a few cranks you'll unlock incredible spiced flavor. This is what makes things so tasty... garlic, finely minced onion and a mess of spices. Should you have the chance to visit Istanbul, the Egyptian Spice Market cannot be missed. With aroma hanging heavy in the air and luscious stacks of fresh spices... your senses are overwhelmed. Plus there are samples. 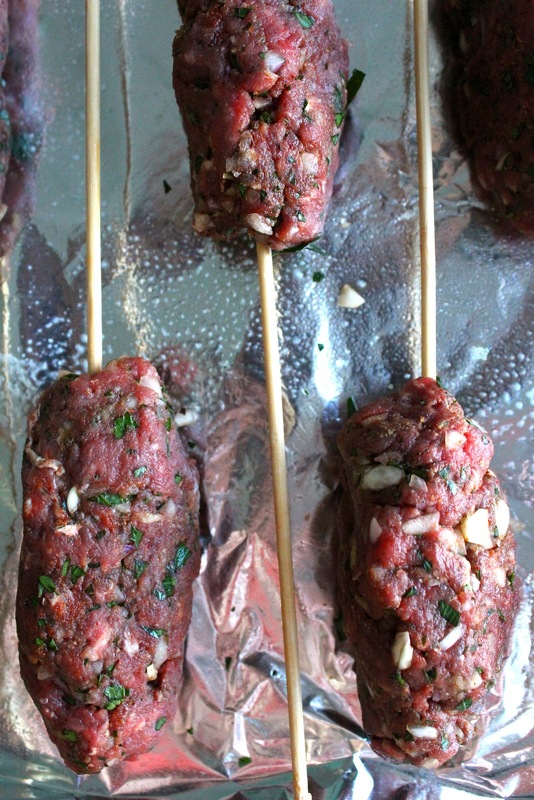 Combine ingredients like you would a meatloaf or meatball, but you'll form these around skewers for grilling. Okay... maybe not the most glamorous food, but hey, it's street meat! Even if you're not in the mood to reminisce, this is the tastiest meat on a stick this side of the Bosphorus. Soak wooden skewers in water. Combine ingredients and gently combine by hand, taking care not to overmix the meat. Form into 1 inch balls and gently press on to skewer. Allow to rest in refrigerator for 20-30 minutes. Grill over medium, direct heat for 3-5 minutes per side. 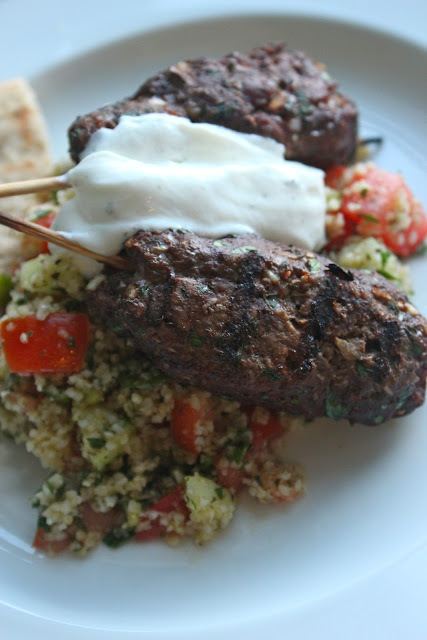 Serve with tzatziki sauce and with tabbouleh or couscous.